A collection in two volumes of A.R. Ammons poetry. In his poems — all of which are collected in these two long-awaited, definitive volumes — we get to watch someone brilliant and deeply capacious thinking through everything he encounters … With Ammons, one feels more like one is in the presence of a capital-P poet, someone at a desk, or sitting on a bench under a tree, who is busy pontificating, although perfectly sociable and friendly, with a bit of a wink and a grin and a healthy helping of informality … For an undeniably major poet, Ammons was unusually funny, slippery and tricky. He was particularly expert on two kinds of poems — really short ones and really long ones … His great poems — and some of them are truly among the greatest of the second half of the 20th century — manage to take the most cosmic and abstract long view and simultaneously observe the world at hand with startling specificity. 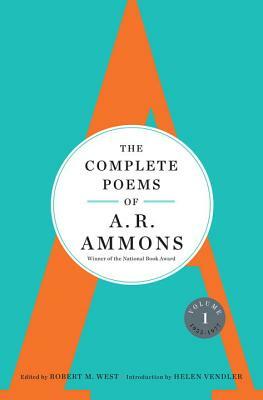 Here now is The Complete Poems of A. R. Ammons in two slab-like volumes. It’s a rocking double-wide mobile home of electric American verse. The cube-like density of these books is imposing until you open the screen door … On the most bedrock level, Ammons was a nature poet. Daily he was out amid the moss and grackles and the zucchini vines and the roadkill. He didn’t issue ‘cry of the loon’ writing, however, to borrow an old New Yorker magazine put-down of overwrought nature prose … Ammons carries you along because as he vamps, like a musician, there’s a sense of drama, of his mind expanding and contracting. He will hit his groove and deliver a string of intensities. Then he will pull back because the beauty is too much; he’ll wait for the next moment to strike. 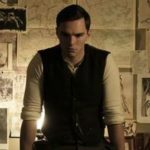 What did you think of The Complete Poems of A.R. Ammons?